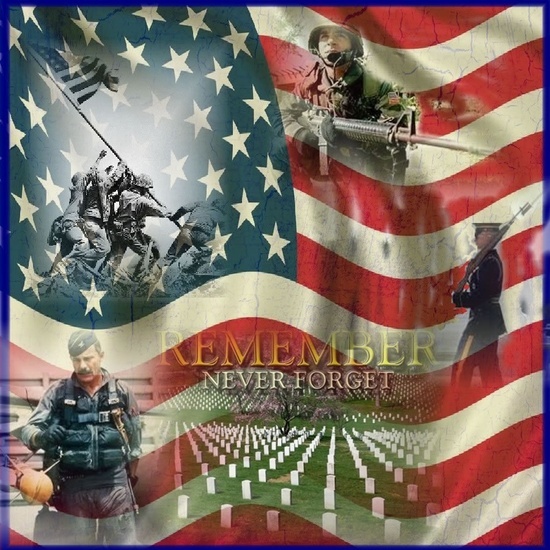 On this Memorial Day, there will be many posts, tributes, and appreciative words cast amongst the social media and market venues. This day is a sacred commemoration for those that serve and have served, giving their all, their lives so that we could maintain our free lifestyles, the availability of resources, food, and the plethora of blessings we often take for granted. My father served during the "black eye" war otherwise known as the Vietnam War. It was there he, a newly trained Marine, and a platoon of others traversed from the safety of the United States of America and the familiar grounds therein to an unknown jungle with a tremendous risk of danger in a foreign country fighting a battle because his commander in chief directed that action in an attempt to reduce Communism and to aid the country to allow them to have similar freedoms afforded to them. Out of the platoon, only two would return alive to the United States of America, he and a fellow Marine who lost the ability to walk. The other men sacrificed their lives in support of American interests to allow another country at a chance for freedom from persecution. My father speaks very little of his military service because the emotional wounds remain great. Why do I speak of this? Many have their reasons to celebrate. I personally thank my father and those fellow military members, both past and present, for allowing me to serve in the U.S. Air Force and to continue the fight to keep our beloved country free.